This mausoleum, also called the Dakkhani Taj or the Taj of the Deccan, was built by Prince Azam Shah, son of Emperor Aurangzeb, one of the Mughal Emperors. 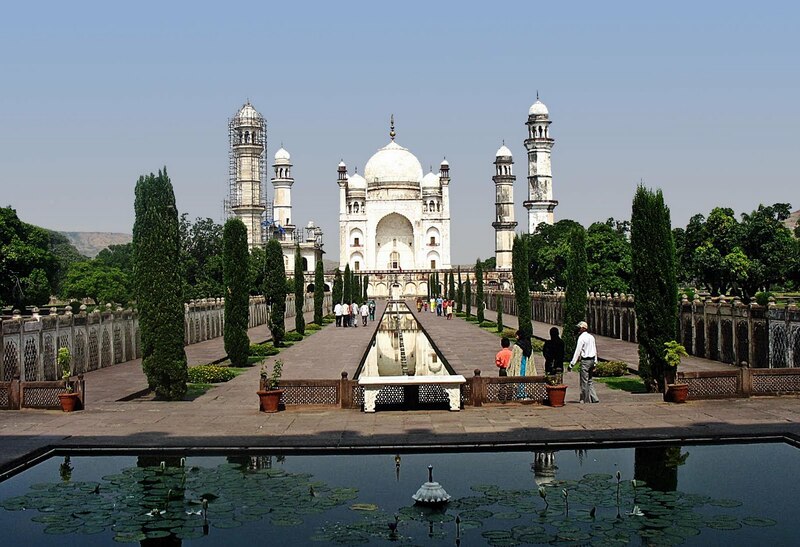 It was built in 1660 in the city of Aurangabad in Maharashtra, as a tribute to the Prince's mother, Rabia Durrani who was also called Dilras Banu Begum. 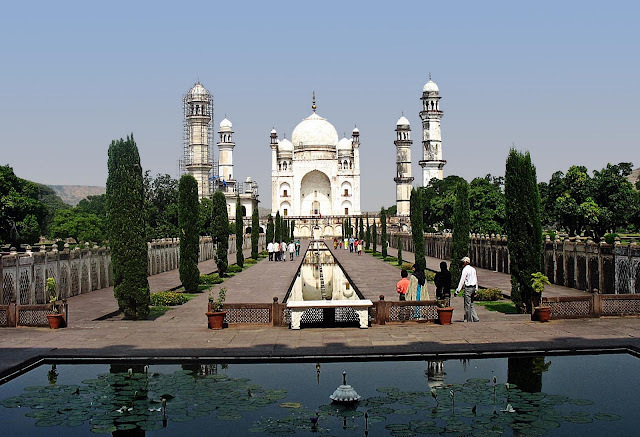 Translated, Bibi ka Maqbara means 'Tomb of the Lady' and looks like a smaller version of the Taj Mahal. The structure is shaped like a hexagon, with the angles decorated with minarets. This is a closeup of the historical structure. 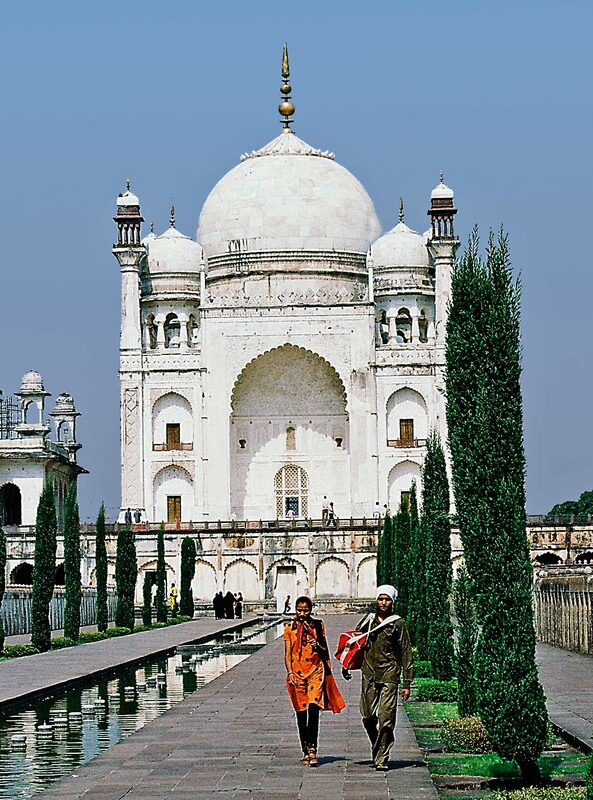 A couple, Indian tourists, are walking down the path in front of the tomb. 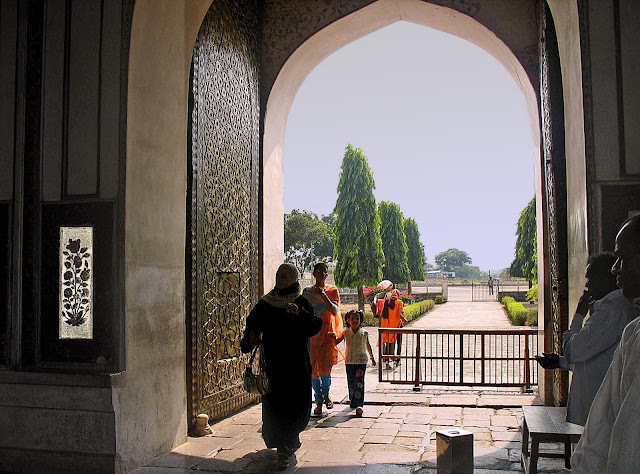 This is the entrance gate of the maqbara or tomb, the photograph shot from the inside. The high ornamental bronze metal doors of the entrance can be seen in the photo.